This is a recipe that I modified from one by my good friend, Charlotte. 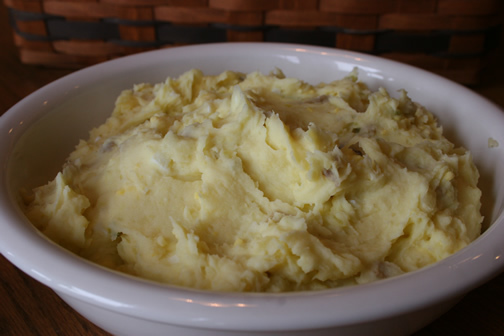 Her version calls for Hungry Man boxed mashed potatoes, and I make mine with real potatoes with the skin left on. 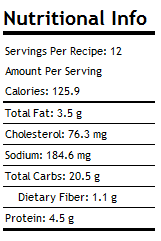 I also lighten the recipe by using fat free sour cream and light Miracle Whip. Cut potatoes into large pieces and boil in large pot until done (leave skin on). Drain water and put potatoes in large mixing bowl. Add the Miracle Whip, sour cream, lemon juice, vinegar, sugar, and mustard. Mix to desired mashed potato consistency. Stir in the relish, onion, and chopped eggs until well combined. Chill; overnight is best, but for at least 3-4 hours.